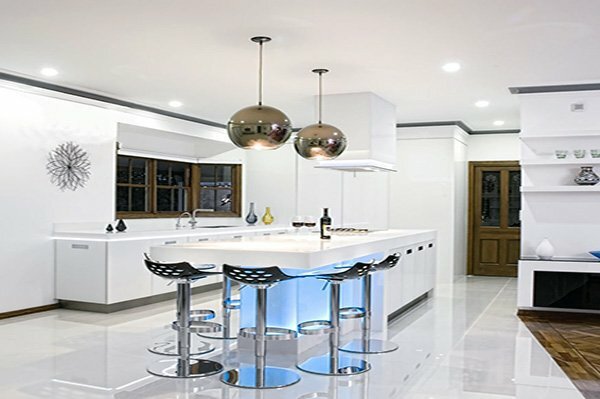 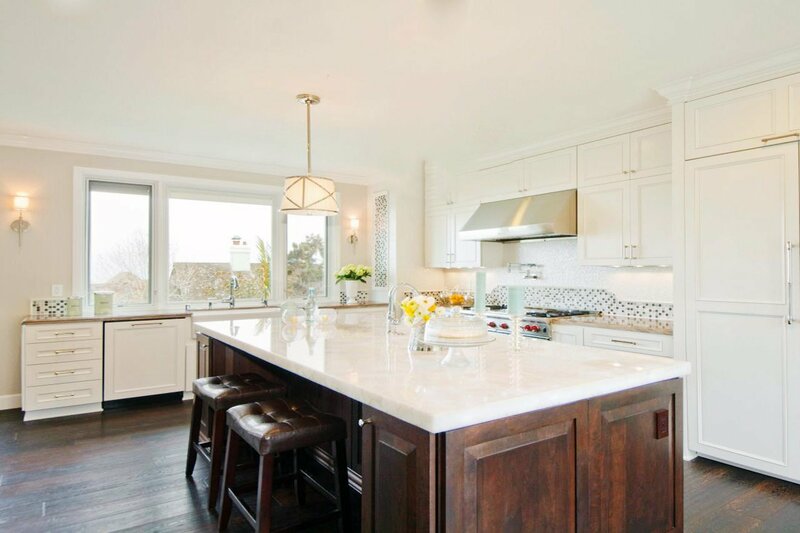 Even though all-white or minimalist kitchen designs have maintained their popularity throughout the recent years, a warm touch to these styles creates the ultimate kitchen design! 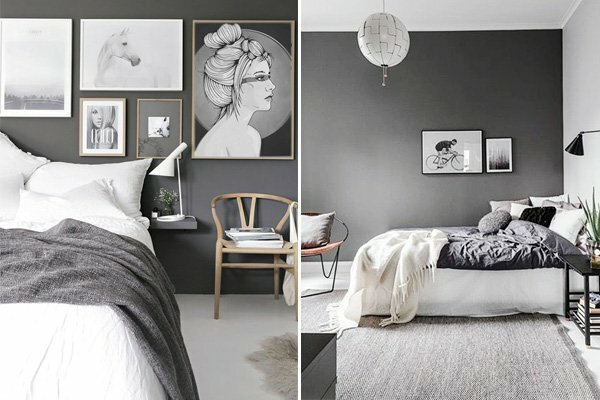 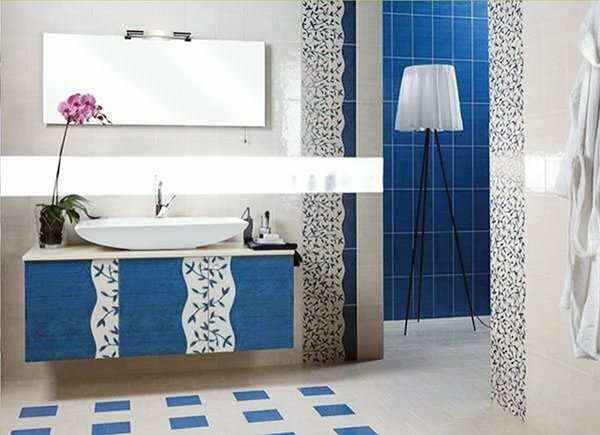 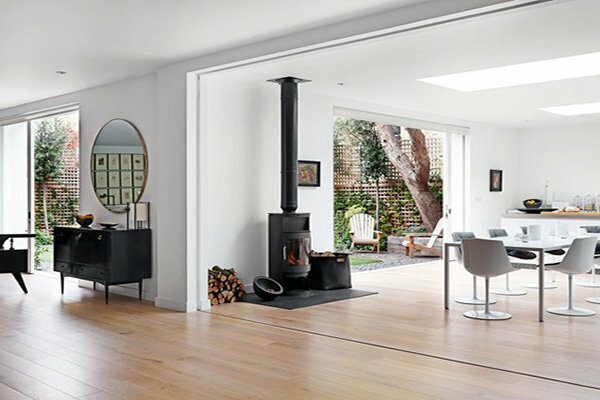 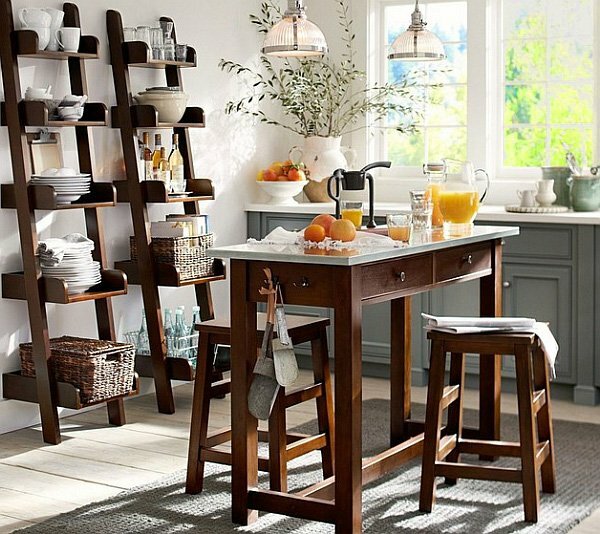 In decor world, old trends keep coming back to surface either with a twist or not. 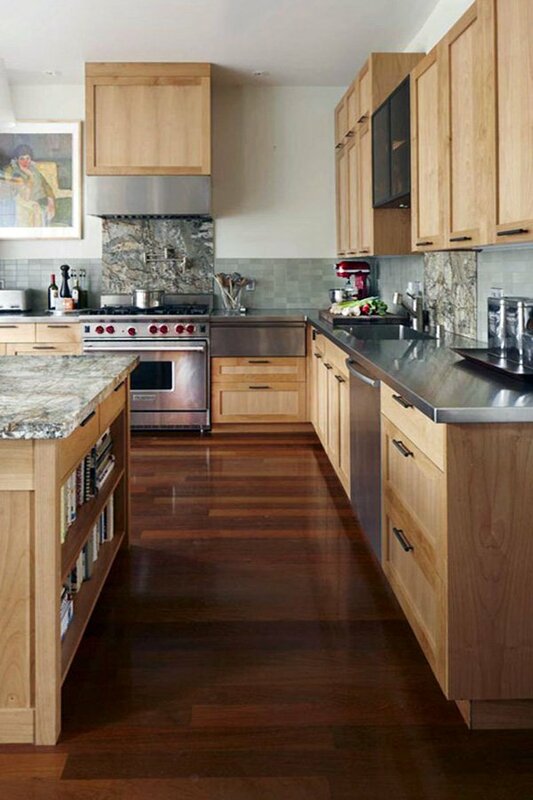 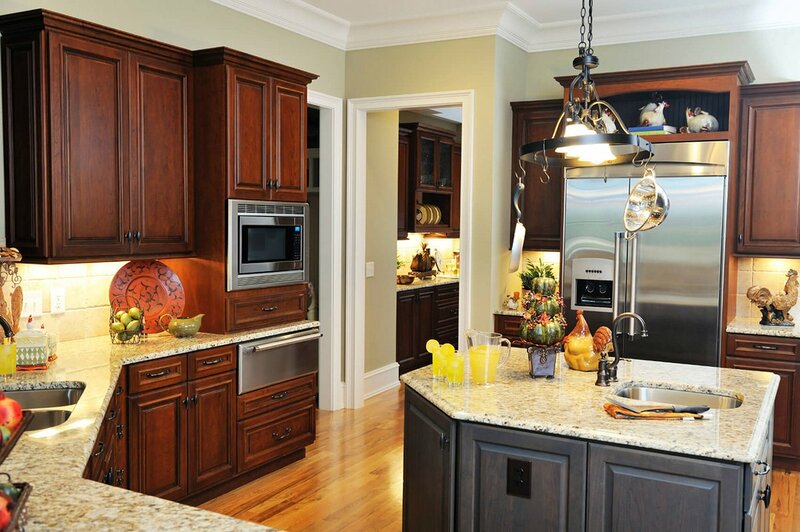 Wooden kitchen designs are beautifully traditional, and modern approaches also offer amazing results. 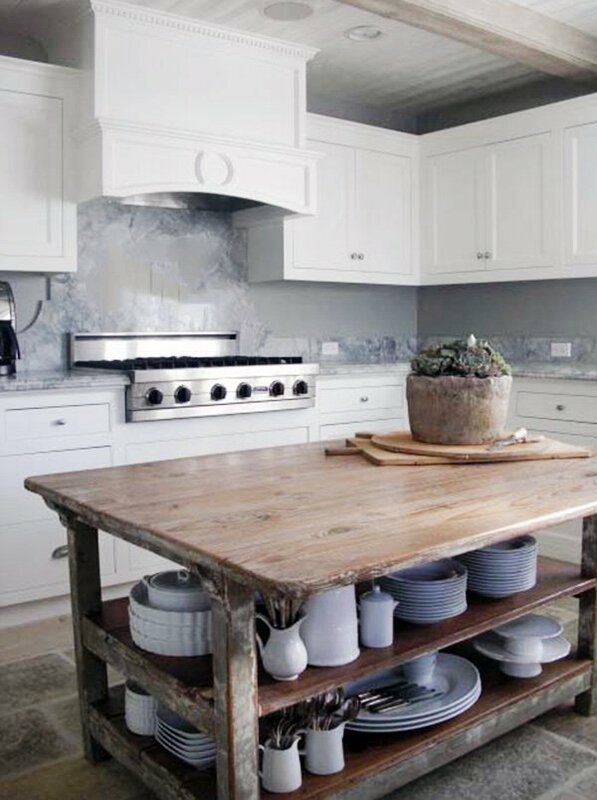 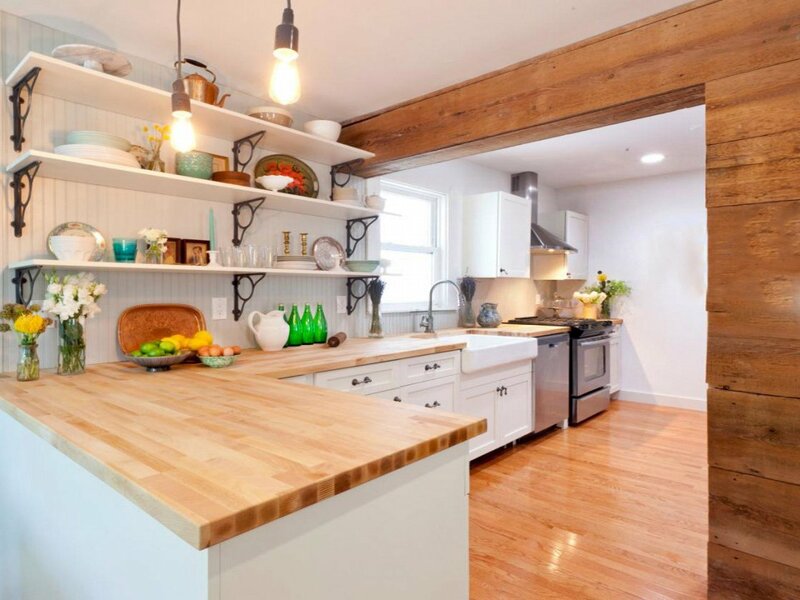 We believe that a wooden kitchen with a natural vibe is the best design option, be it classic, rustic, country, minimalist, or farmhouse style. 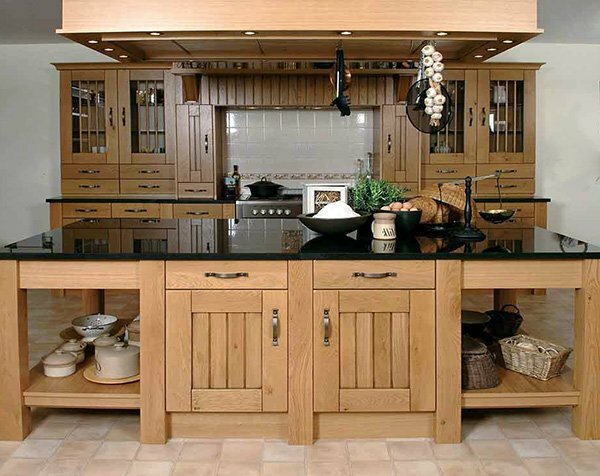 If you want a warm space with a contemporary touch, natural kitchen design with wooden elements is definitely your cup of tea. 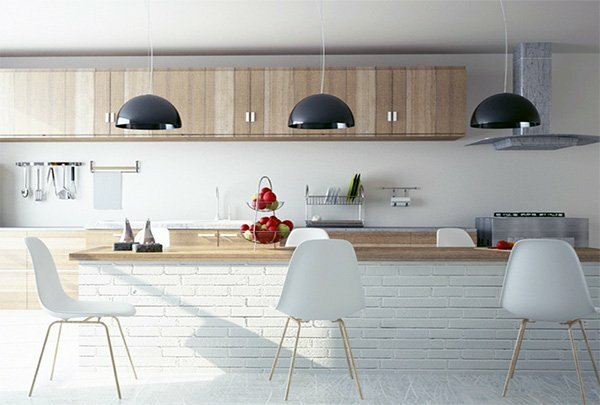 This is ideal for those who has a white kitchen and wants to add a natural touch with wooden elements. 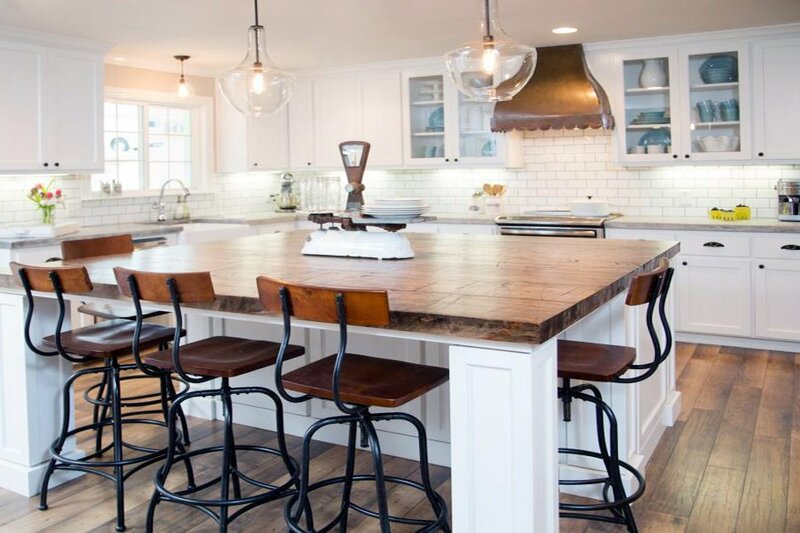 You can use a wooden table that will go perfect together with white shaker cabinets, or opt for a wooden kitchen island if you plan on having one. 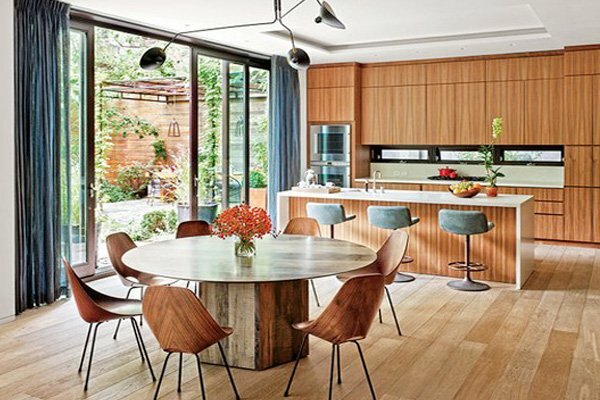 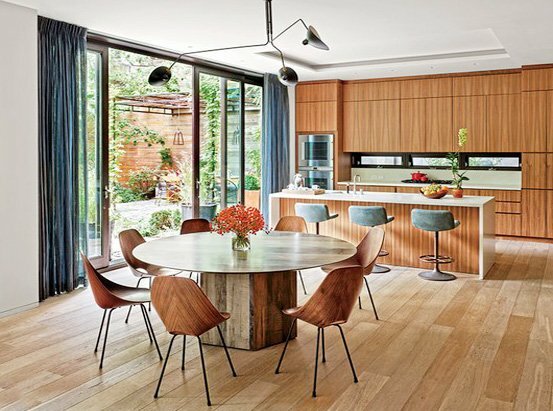 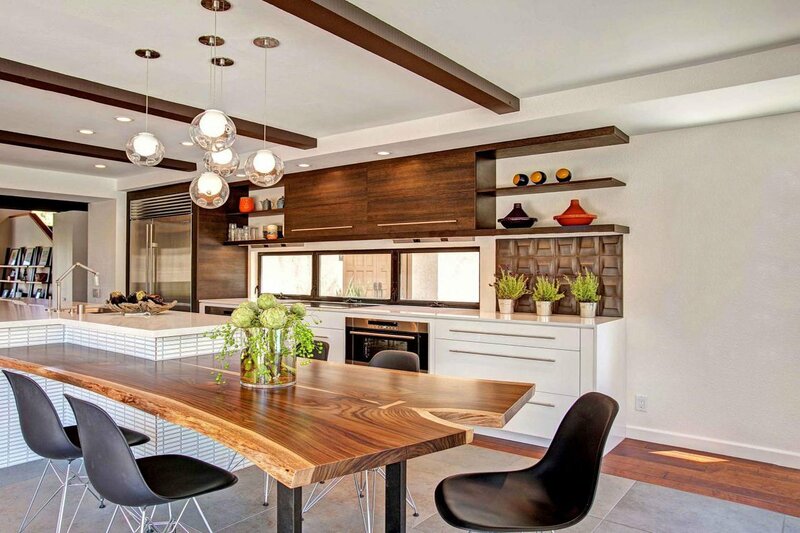 If you are planning on remodeling, then you can add a modern wooden island and countertop. 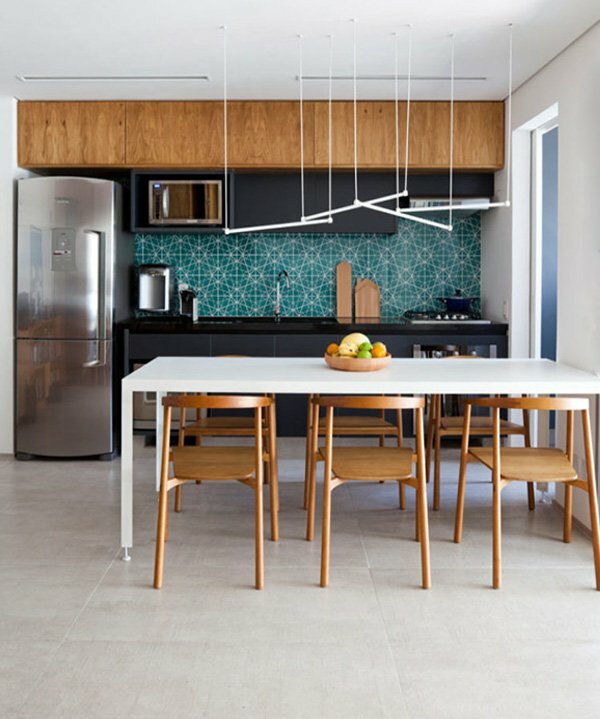 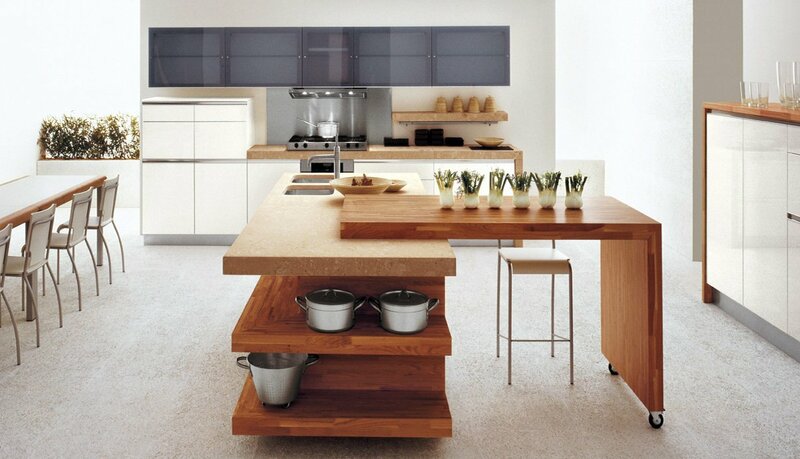 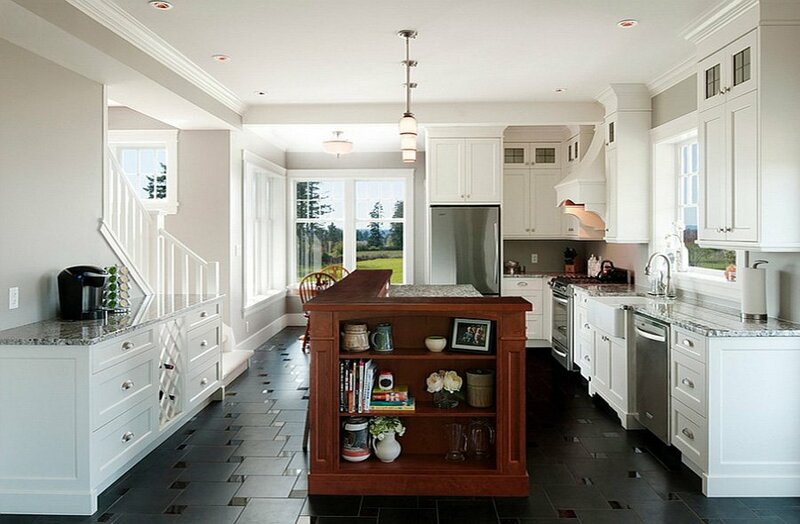 Or you can change the cabinets with dark wood ones with white countertop and achieve amazingly modern, fresh results. 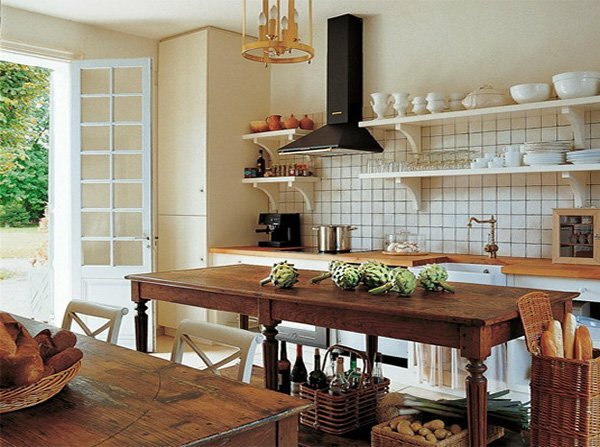 Adding a wooden table and chairs to a white kitchen or a kitchen with softer colors and modern style, also add a natural touch. 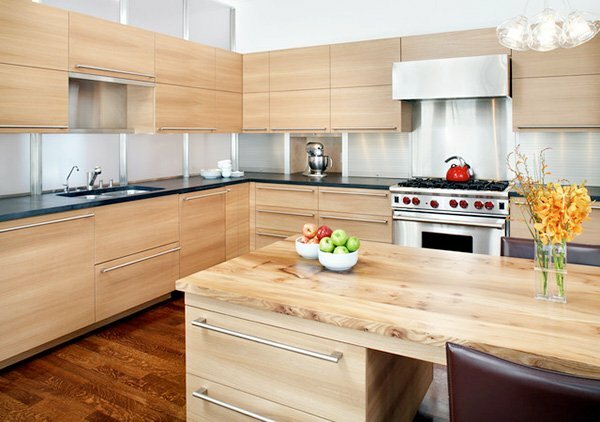 If you want to emphasize the warmth of wood, you can use matte wood cabinets or medium tone wood cabinets along with a wooden table, and achieve a more traditional design for your kitchen. 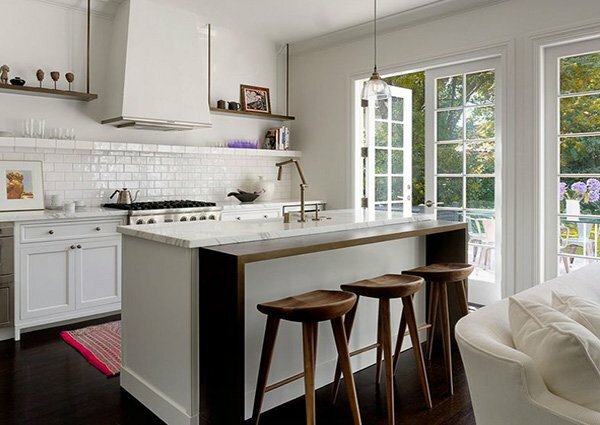 Or, you can create a minimalist, stylish space using wooden kitchen stool with a simple overall style, which would be cost-effective, easy, and look gorgeously fresh. 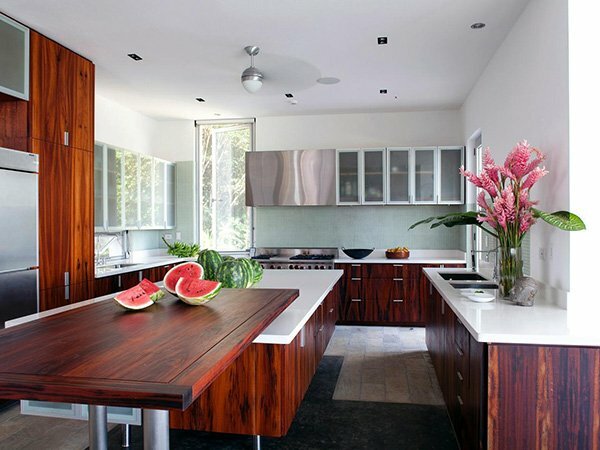 If you want to create a warm, natural looking, and chic space, do not miss out on these amazing wooden kitchen design ideas and inspirations before you make up your mind!